yemen-president-hadi-house-arrest-riyadh – Royal Times of Nigeria. Saudi Arabia has barred Yemen’s president, along with his sons, ministers and military officials, from returning home for months. Yemeni officials who stated this today, said the ban was prompted by enmity between President Abd-Rabbu Mansour Hadi and the United Arab Emirates, which is part of the Saudi-led coalition against Houthi rebels and has come to dominate southern Yemen, the portion of the country not under rebel control. 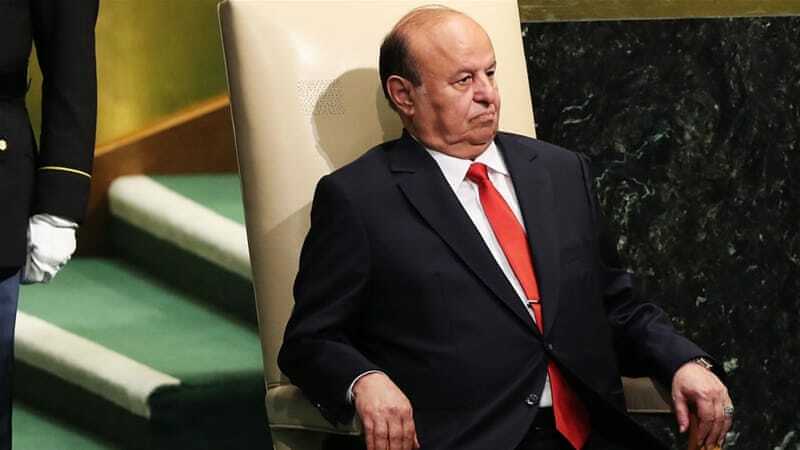 Hadi’s inability to get back to southern Yemen underscores the president’s loss of authority – even in the south that is nominally under his administration. Since Hadi last left Yemen in February, he has repeatedly sent written requests to Saudi King Salman asking to return. None was processed, said a Yemeni security commander. Two other Yemeni officials confirmed Hadi, his sons and several ministers with him in Riyadh have been prevented from going to Yemen. They spoke on condition of anonymity because they were not authorised to discuss the situation. Coalition Spokesman Colonel Turki al-Malaki referred any questions related to Hadi to his own office and government.